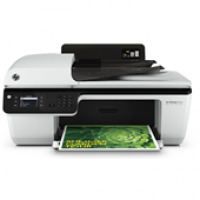 HP Deskjet 2620 is a multifunction device that allows quick printing, copying and scanning. This is another HP model in 2600 series that appeals to home users that need a printing machine for regular use. A 3.42 kg of weight and 149 x 304 x 425 mm (H x W x D) of dimensions nearly solve the problem of shifting or placing the machine from one place to another. The print quality matches with other 2600 series models which are good. The printing speed for black and white corresponds to 20 ppm (7.5 ppm ISO) and for photo printing, it corresponds to 16 ppm (5.5 ppm ISO). HP offers its Instant Ink 3-month trial with HP Deskjet 2620 Ink Cartridges which makes printing more affordable, provided it is used regularly. The input tray capacity is 60 sheets which may not be suitable for heavy work. Coming to its wireless features, the printer automatically connects to WiFi to print directly from Android or Apple devices. It works with Windows and Mac operating systems. HP Deskjet 2620 is an affordable and compact inkjet all-in-one that provides comprehensive options to print via any mobile device. The printer output quality and speed are good enough to accomplish home, school or even office projects (to some extent). The printer is a good choice only if is used for light to medium work. Taking all the features into account this all-in-one for HP is ideal for home users. How to enter and exit single cartridge mode in HP DeskJet 2620 printer? The single cartridge mode is initiated when a HP DeskJet 2620 ink cartridge is removed from the cartridge carriage. The printer can copy documents, copy photos and print jobs from the computer during single cartridge mode. Note: A message is displayed on the printer display when the printer is in single cartridge mode. If two HP DeskJet 2620 ink cartridges are installed in the printer and the message is displayed, check that the protective piece of plastic tape is removed from each ink cartridge. The HP printer is unable to detect how many ink cartridges are installed, if the plastic tape covers ink cartridge contacts. To exit the single-cartridge mode, install both black and tri-color HP DeskJet ink cartridges. I am unable to load small size pages. How to load small-size pages in HP DeskJet 2620 printer? Open the paper tray door and pull the paper tray out. Smoothly move the photo paper forward until it stops. Slide the paper-width guides securely against the edge of the photo paper. Push the paper tray back into the HP printer and close the paper tray door. Retire the paper tray extender manually and change the paper settings on the HP printer display. In case, you are still unable to load small size pages, contact the HP printer service provider. Q. I need paper for my HP DeskJet 2620 printer? Do you sell printer paper on your website? A. Yes, we sell various types of media including A4 white plain paper and envelopes that are supported by this printer. You can find it on this link: https://printerinkcartridges.ie/stationery/paper. Q. Will I get a refund if the compatible HP DeskJet 2620 Ink Cartridges that I purchase from your website get damaged during transit? A. Yes, we offer refund if the items are damaged. You need to contact us on 048 30833221 or email us at info@printerinkcartridges.ie. We will then arrange for a replacement or a refund for the cartridges and the postage incurred by customer for returning them. Once the item has been returned to us and tested, we’ll initiate a refund in your account. Q. Does the HP DeskJet 2620 printer support copying? If yes, what is the resolution that it supports? A. Yes, this is a multifunction printer that supports copying. It supports a resolution of up to 600 x 300 dpi (dots per inch). Q. Do you have any special offers on the purchase of the HP DeskJet 2620 Ink Cartridges? A. Yes, if you are ordering for the first time on our website, you can apply the coupon code D10 at checkout to get a 10% discount on our already affordable price for HP DeskJet 2620 Ink Cartridges. You can also like us on Facebook, follow us on Twitter or rate us on Google Plus to get the coupon for a discount of 5%. You can apply only one coupon code at time. Q. I currently reside in Dublin. Can you deliver HP DeskJet 2620 Ink Cartridges here? A. Yes, we can deliver this item to you in Dublin. We deliver our products to all areas of Northern Ireland and Republic of Ireland. Q. Can I purchase your compatible HP DeskJet 2620 Ink Cartridges in bulk or is there a risk involved of the cartridges drying up? A. Yes, you can go ahead and purchase these items in bulk but make sure that they are stored correctly in a cool and dry place and are used before expiry date printed on them.